Wildlife attractions in Branson are some of the most beautiful tourist spots where you can have the opportunity to get up-close and personal with some of the most exotic animals on earth. Many of the wildlife attractions in Branson offer guided tours which allow you to explore the facility in an interactive, educational, and entertaining experience to meet some of the most feared and revered animals in the world. The amazing wildlife attractions in Branson that offer a fantastic wildlife experience include the Branson’s Wild World, National Tiger Sanctuary, and the Promised Land Zoo. Branson’s Wild World is a great place to experience wild encounters with the animals in the aquarium and in the zoo. In the aquarium side of the facility, you can be allowed to feed many kinds of sea creatures such as bull sharks, nurse sharks, the giant sea turtle, and many other sea creatures that inhabit in this indoor wildlife facility. Through the glass of a huge aquarium, you can enjoy spectacular views of many different kinds of sea creatures from small swarm of fish to stingrays and sharks. Branson’s Wild World is one of the most fascinating attractions in Branson that showcases some of the world’s most beautiful, deadly, exotic, and intriguing sea and land creatures. If you want to experience a unique adventure on the water, you can interact with the different aquatic creatures such as touching a gentle sea turtle or feed a fierce bull shark or stingray. Featured in this unique wildlife attraction is an impressive reef system where you can see some of your favorites like lobsters, shrimps, clown fish, and the Doctor Fish. Try a unique and thrilling experience like no other as you submerge your feet in the water and let the doctor fish nibble your feet and stimulate your nervous system. As you tour the facility, you will a see a variety of animals of land, sea, and air for an experience you won’t ever forget. See the Touch Tanks where you can touch all kinds of marine creatures. Your land adventure at Creepy Crawlers will let you see a variety of bugs, spiders, and other insects. You can also find Carnivorous Plants where you can have a close encounter with these meat-eating plants. Also featured in the wild world are the deadly Venomous Snakes like the cottonmouths and copperheads as well as the exotic ones like King Cobras and Black Mambas. Your animal sea adventure will also let you see Freshwater Displays where you can encounter a variety of freshwater fish in their natural habitat. The Shark Tank that features a great display of actual bull sharks and nurse sharks is the one of only two locations in the country to display bull shark. You can also interact with lizards and snakes in the Reptile Display section. A Crocodile & Alligator Enclosure can also be found in this wildlife facility that you can look through the glass many kinds of fierce-looking reptiles. 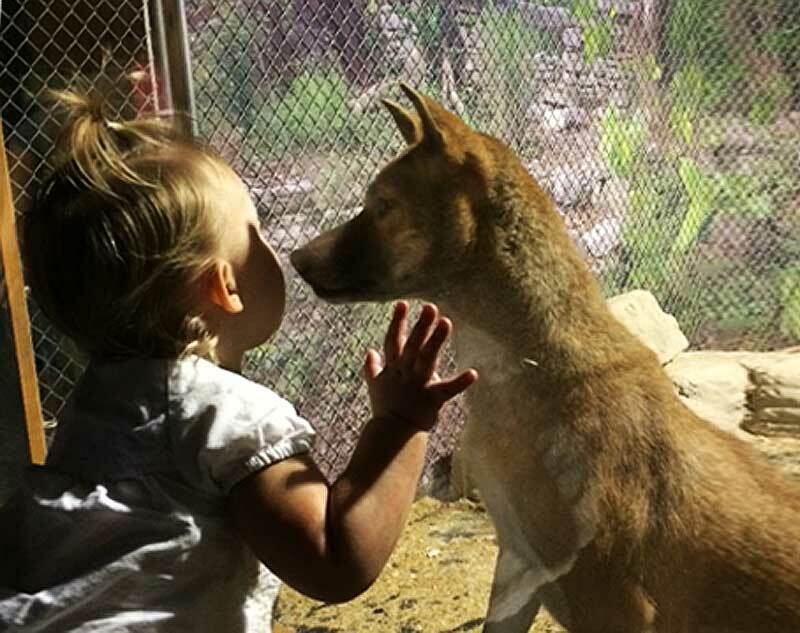 You can also find a special enclosure of Wolf Woods that features the region’s only indoor wolf display. National Tiger Sanctuary is another amazing wildlife attraction in Branson where you can see a variety of big cats such as the white tigers, mountain lions, panthers, bears, Bengal tigers, and many more. Inside the sanctuary, you can have the opportunity to get up close and personal with the big cats. This tiger sanctuary in Branson provides every visitor the chance to enjoy educational tour in a protective environment where everyone can experience a safe encounter with the big cats. The tours offered at the sanctuary are guided and operate three times a day. With this guided tour, you can have the chance to see the big cats sleep together, play with each other, nurture their young, play with pumpkins and barrels, and eat as they rip the meats of their feeds. The tigers and other rescued big cats at the sanctuary in Branson give you fun and excitement that you haven’t experienced before. Special tours are offered at the sanctuary where you can watch the big cats during feeding time. National Tiger Sanctuary also offers various wildlife refuge tours on site including feeding the animals in the first USDA-approved facility in the country allowing everyone to feed the big cats. This wildlife refuge tour offers a unique and amazing wildlife encounter with the big cats once in a lifetime. A behind the scene tour can also be enjoyed where you will get to see firsthand experience with the tigers how they are cared and fed. You can have the chance also to see the preparation of the food in the wildlife refuge and see how the staff help in the feeding process. The sanctuary has been entertaining visitors since 2000 giving them the opportunity to explore the facility in an interactive, educational, and entertaining tour experience to meet some of the most feared animals in the world. As one of the renowned wildlife attractions in Branson to house a huge display of big cats, the National Tiger Sanctuary has become one of the world’s leading habitats for big cats. This tiger sanctuary in Branson was specifically designed to house these scary creatures and facilitate the showcasing of these amazing animals. On-site guides are always available in the sanctuary and are always ready to provide you with any information about all the creatures, while providing educational information and insights for those participating on the tour. Each year, thousands of people come to Missouri to see many of the exotic tigers, lions, and leopards that live in this serene Ozark Mountain habitat. Established in 1999 as a family business, Promised Land Zoo is another popular wildlife attraction in Branson where you can find hundreds of animals that represent 50 species from all over the world including kangaroos, antelope, deer, lemurs, tropical birds, large reptiles, and many more. The zoo started only with just a few animals, now it has grown to have over 500 animals and expanded to more than 120 acres of space. Visitors can have the chance to bottle feed animals on daily schedules at 10 am, 2 pm, and 6 pm. 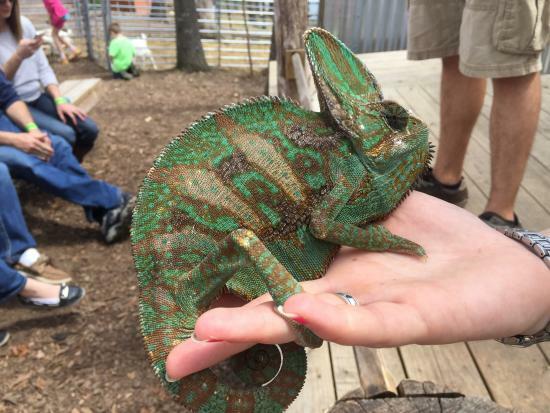 Promised Land Zoo offers people of all ages a complete fun and great wildlife adventure. The zoo can accommodate school buses and charter buses and offers personal tour to visitors who want to get up close and personal with the animals. You may find it interesting to bottle feed a camel, a monkey, or just hear stories of the zoo narrated by your personal tour guide. You can toss food to some animals that are kept in large cage. You’ll also be amused if you see amazing creatures such as ponies and goats. Some parrots are sure to delight your day when they show impressive language. The Promised Land Zoo is such a great wildlife attraction in Branson to visit. In just one minute drive you’ll be right in the middle of the wooded areas of the facility. The next minute you may see herd of zebras and you will find it amusing to see ostriches chasing your car. Be sure not to forget to take camera with you – as you will find it exciting to snap some photos of Forrest Hump (a baby camel), squirrel monkeys, and adorable zebra. The wildlife attractions in Branson are some of most beautiful spots to visit as they provide visitors the chance to get up-close and personal of some of the most exotic and feared animals on earth.